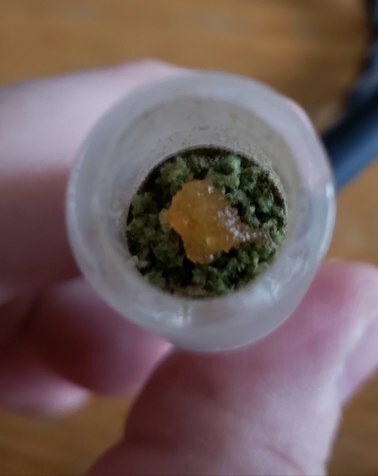 Not to bad bro, nice piece. Next time just make sure to check the height, which will tell you a lot about the size. 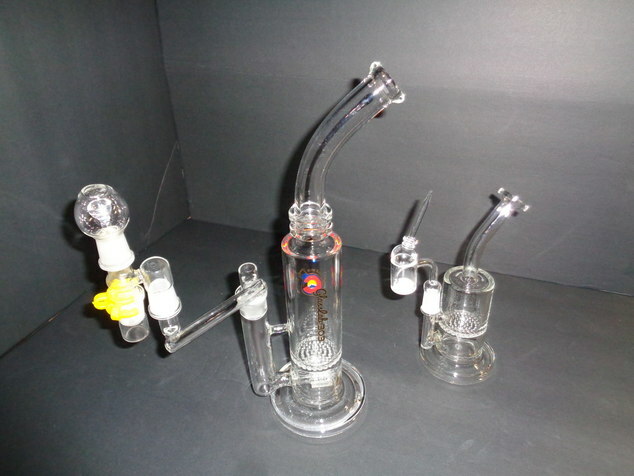 You will appreciate a smaller rig :100: the larger rigs require tons of air power to use. 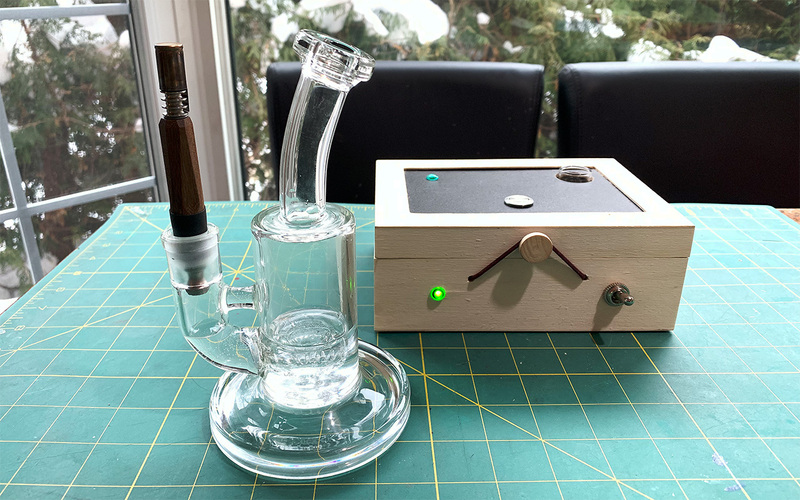 Very nice piece you got and I'm sure you will put it to good use. 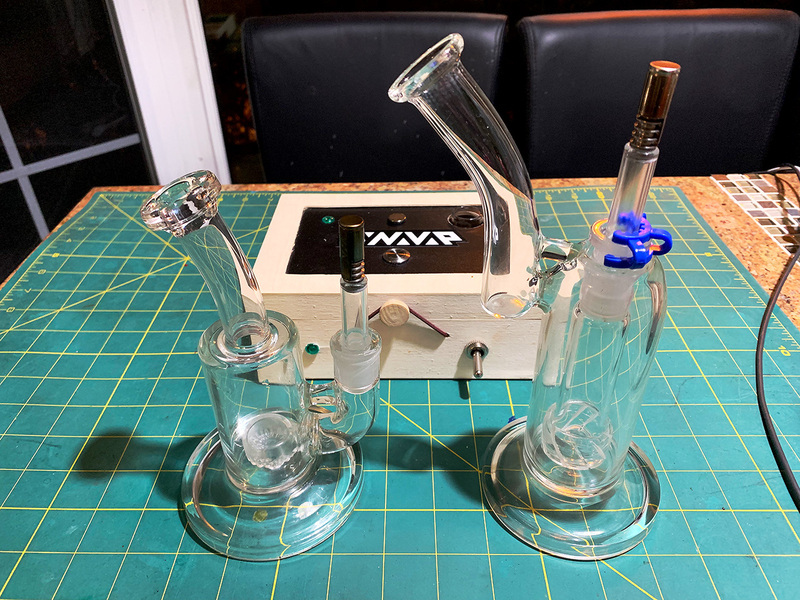 Which one.....the tall thin Bates external pump or the small grav/bates internal pump? I actually have two of them (sigh). 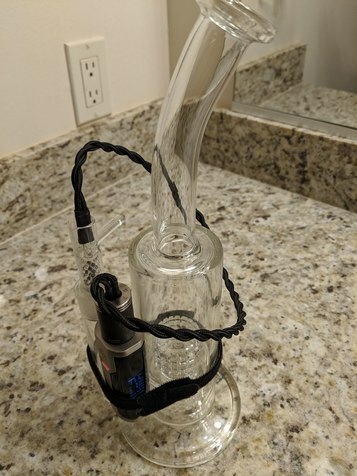 One is the Grav/Bates collab and then....in a fit of insanity I bought an OG Bates & Worm external pump. 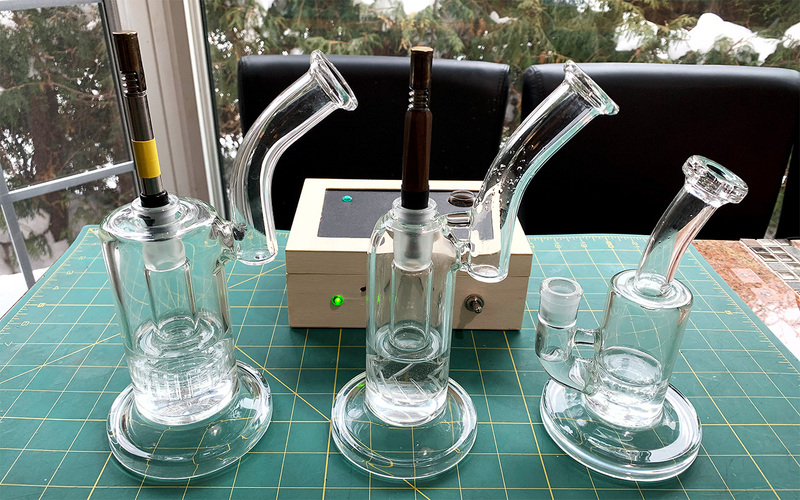 I need to put the Grav/Bates collab up for sale...certainly don't need two and nobody will buy the Bates OG for enough to make it worth sell, I think. 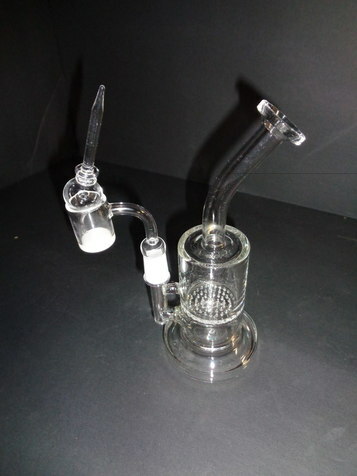 @Alexis just got that DHGate Stereo Matrix rig you linked me to last month. 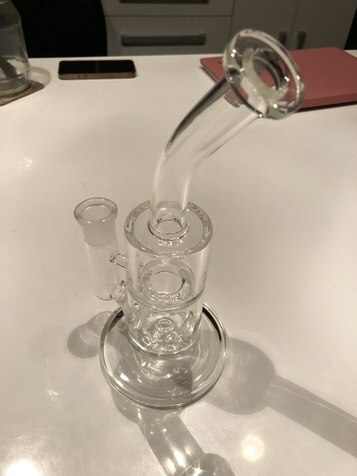 It showed up exactly as described, and seems to be very good quality thick glass. For under $30, I'm extremely pleased with it. I'll post some shots later, but the link above will take you to the specific one I ordered. hey thanks so much for letting me know. Im really glad it went well and you are happy with it, that's great news and very satisfying and relieving to me having recommended it, I woulda hated it for you to regret the purchase for one reason or another. Stoked for you man, and yes its a bargain. I wonder just how many people are paying twice as much to go direct to Newvape (or rather, NOT go direct, to CHINA lol)? I will be delivered today. I’ll post pics when o get home. 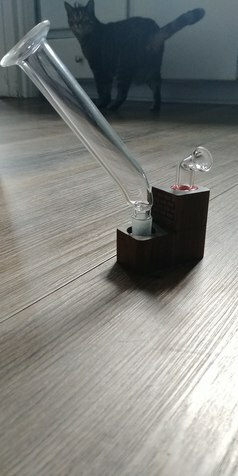 Going to try my new little Toro knock off piece with it. 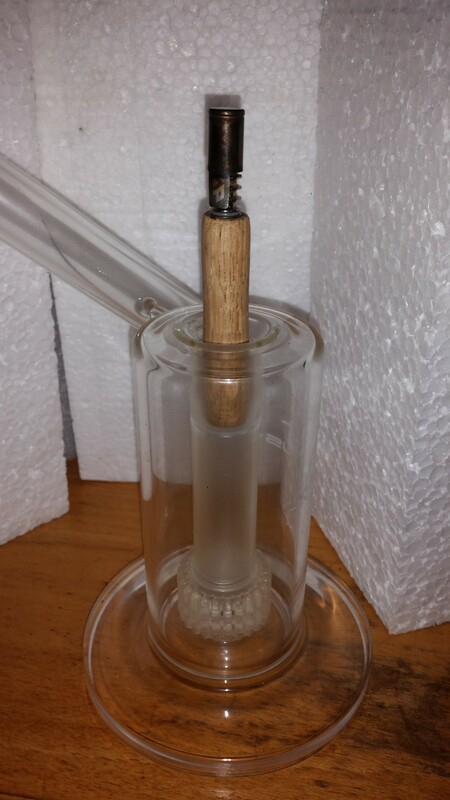 Just tried a little Rosin with it and it is "different" from the bigger and more complex "recycler". 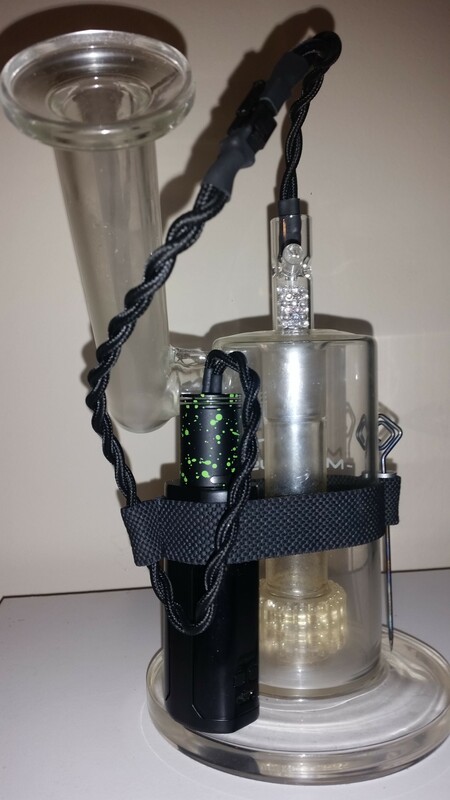 I just did a sandwich in my new rig without water. 10 flavorful rips off the g43 at 13 watts after a 5 minute warm up. Then cover it with a good amount of herb. 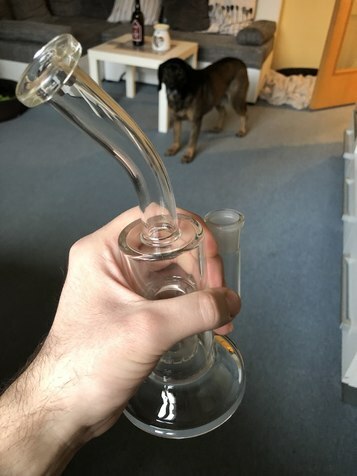 I have been using bongs from DHGate in the pic below these past couple of weeks... 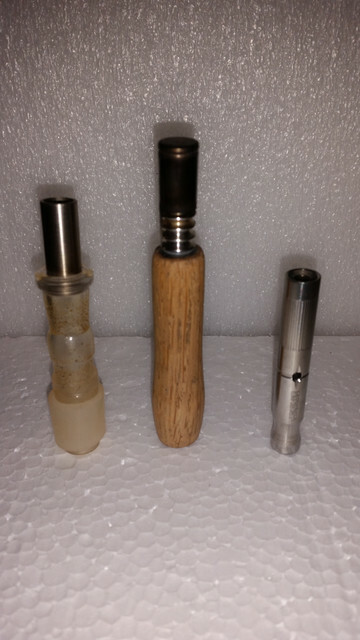 While they are all good, I prefer the smallest one as it retains flavor the best and is good enough to cool the vapor. yeah I like the look of the small one on the right too, is it 18mm? 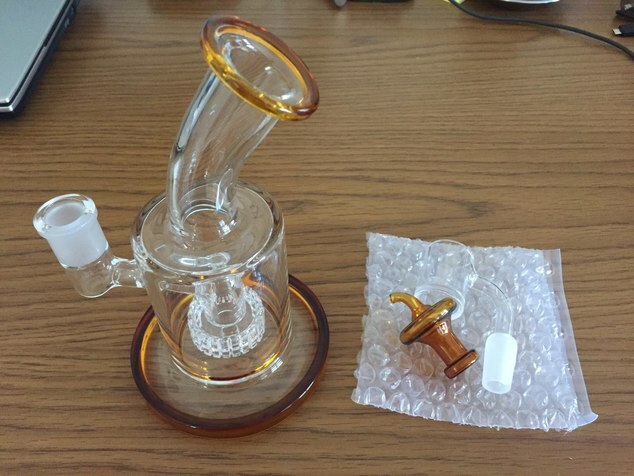 Which dhgate seller was that from? 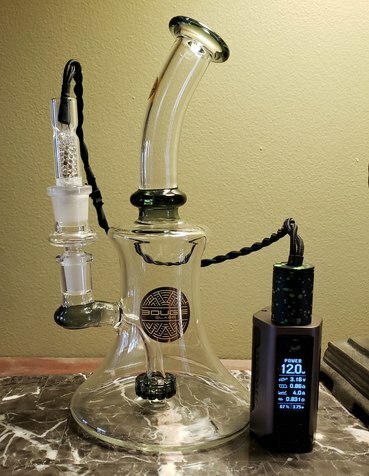 DDave water wands just got here... Was able to put one through the paces... Very happy with it. 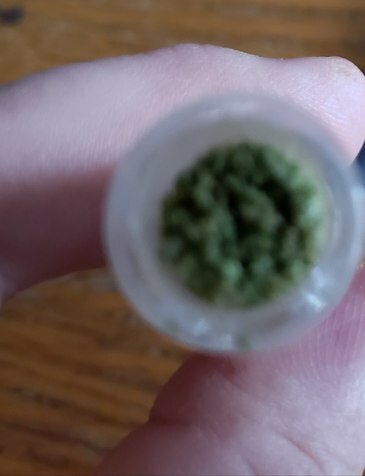 I am using the dynavap titanium tips on these. 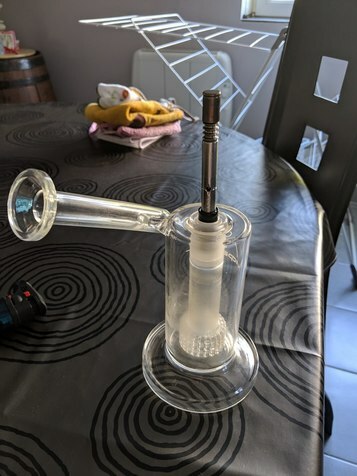 Guys i need smaller bubbler than mine?